Apartment le Sautaillet boasts a fantastic south-facing garden with magnificent views. 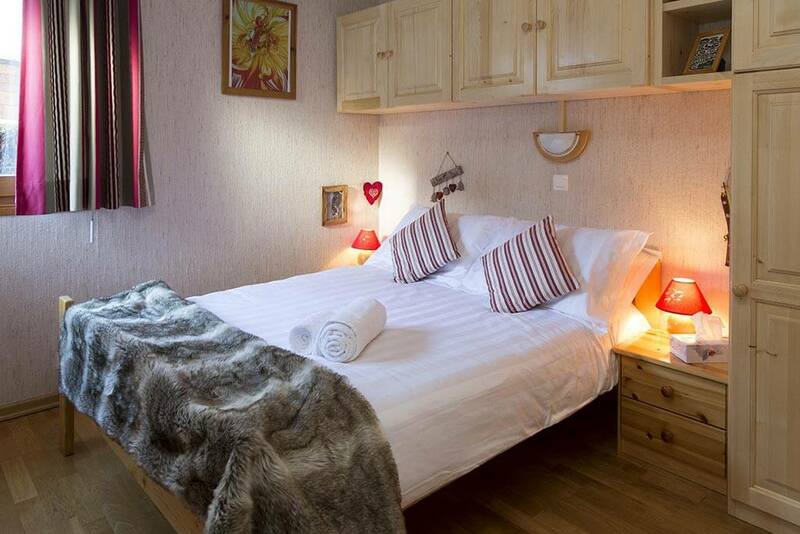 It is located in perhaps the best summer location in Morzine and is less than a 10 minute stroll from the village centre. 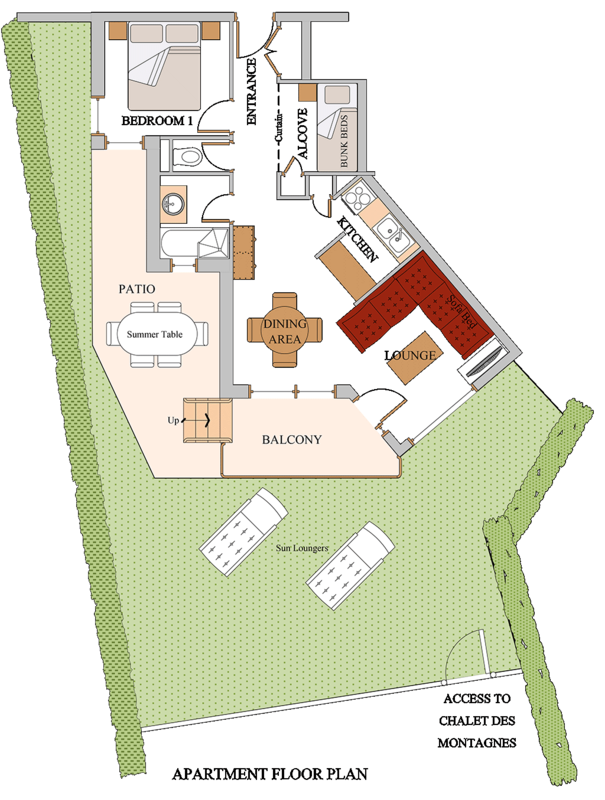 The apartment comprises of one double bedroom, an alcove with fitted bunk beds, bathroom (with bath-shower), separate WC, kitchenette and lounge area (with double sofa bed). There is ample private parking. Sleeps 2-5. 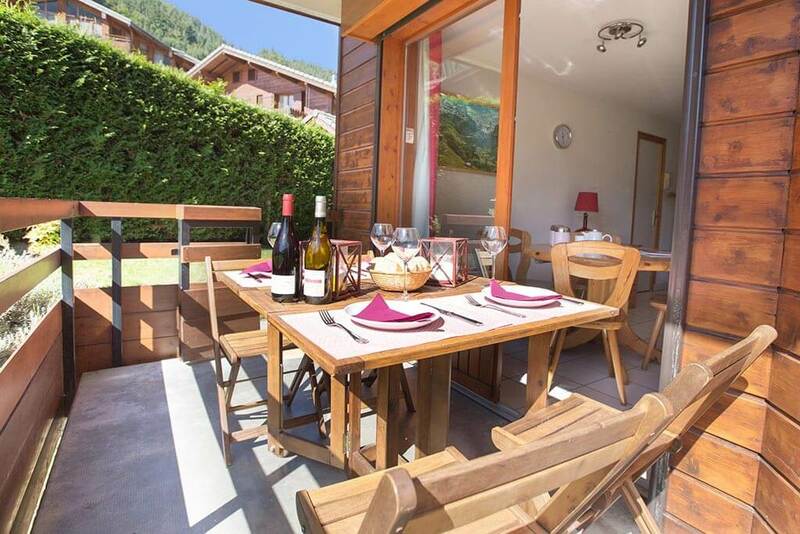 This bright and modern self-catered apartment is situated in one of the best positions in Morzine; very close to the village centre yet quiet with stunning views and lots of outdoor space. Immediately next door to our flagship Chalet des Montagnes and Chalet Hotel la Chaumiere (thus ideal for children to make holiday friends! 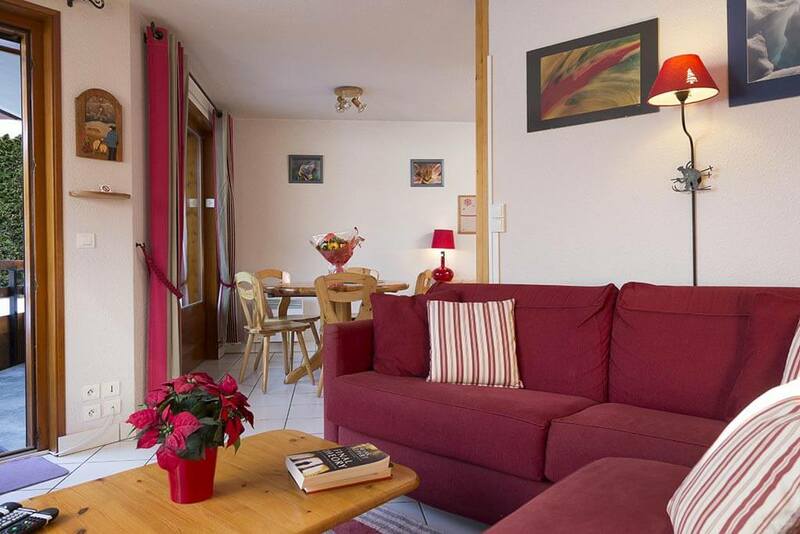 ), the apartment is perfectly located to explore the Portes du Soleil. Morzine’s tourist office, village square and town hall are under 10 minutes’ walk away, meaning the resort’s array of amenities and summer activities could not be more convenient. A notable USP in the summer for this ground floor property is the private, south-facing balcony, patio and lawned garden area with inspiring mountain views. This space lends itself well for a multitude of uses – whether that may be relaxing on a sun recliner, barbeques, al fresco dining or as safe area for children to play. 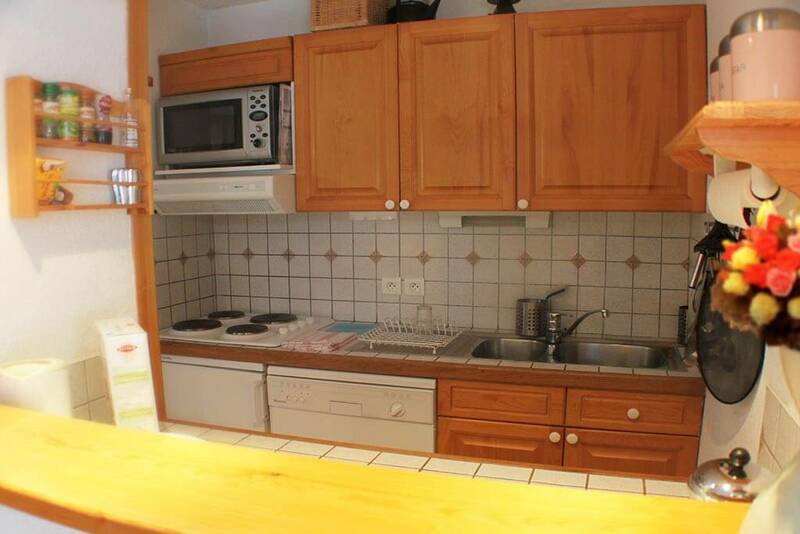 Modern and well furnished, Apartment le Sautaillet is fully equipped for self-catering and ideal for a family of up to 5 people. 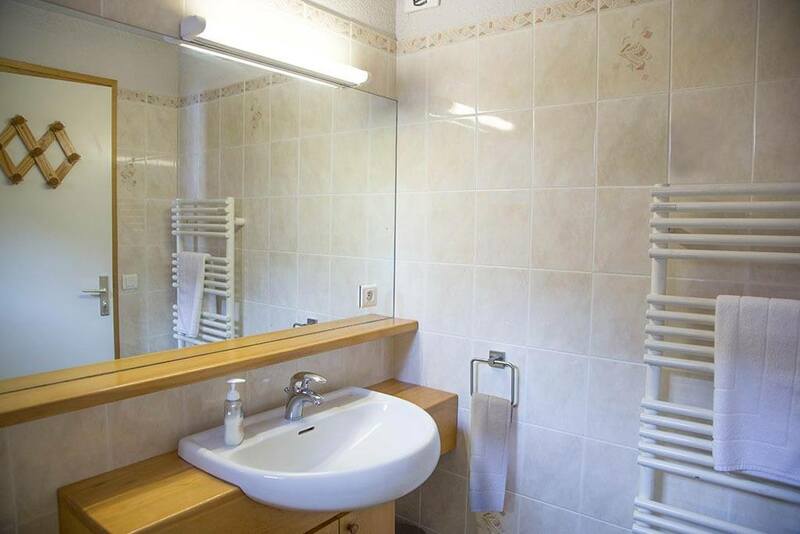 It comprises of a good-sized bathroom with bath and shower, plus separate WC. The open plan, bright and airy lounge/diner has an ‘L’-shaped double bed settee, UK Freesat TV, DVD and wireless music system. The practical kitchenette benefits from a dishwasher, washing machine, microwave/oven and fridge-freezer. Bedroom one has a double bed with large built in wardrobes. Bedroom two is an alcove with a fitted bunk and plenty of handy storage space. 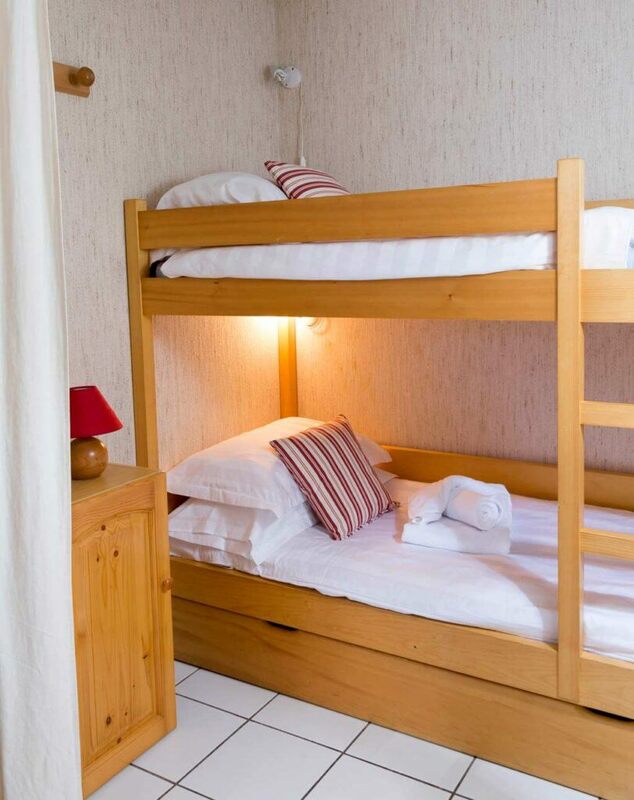 As with all our summer accommodation, the personal service of a Simply Morzine representative is always available to help you make the most of your summer holiday in Morzine. We offer shuttles to/from the supermarket for those big food shops to guests using our airport transfer service, and can arrange for fresh French bread and pastries to be delivered each morning. There is private parking, or alternatively, return shared Geneva airport transfers can be arranged if required. Self catered guests at le Sautaillet are most welcome to partake in the wide range of activities and excursions offered by Simply Morzine as part of our unique summer alpine adventure holidays. N.B. During your stay, expect an invite to join the infamous weekly Chalet des Montagnes barbeque next door! 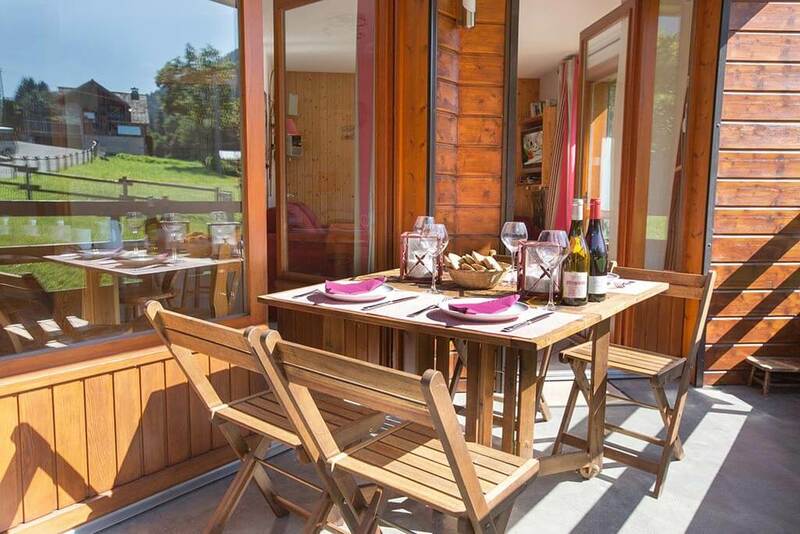 We are confident there are few better-located summer apartments in Morzine than le Sautaillet. 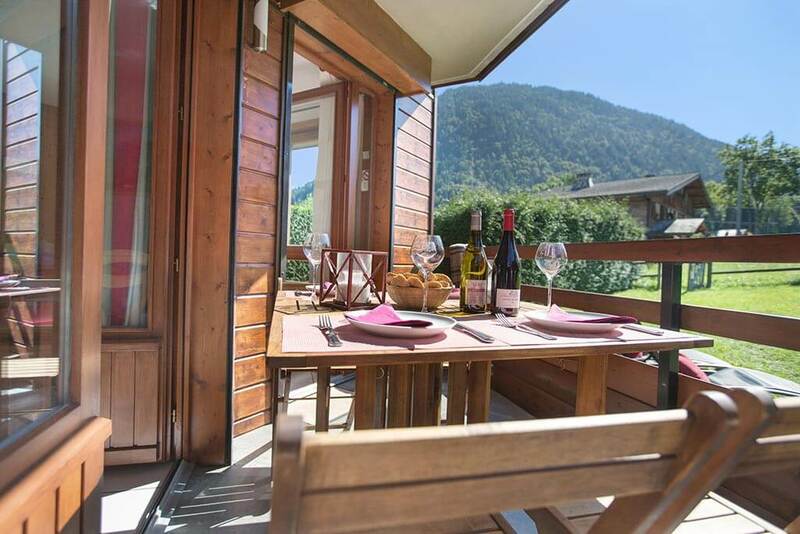 The property is designed for a single family in search of a private and self-contained apartment – close to the heart of Morzine. Comments: Bathroom off the lounge. 2nd bedroom is an ‘alcove’ with fitted bunk beds. 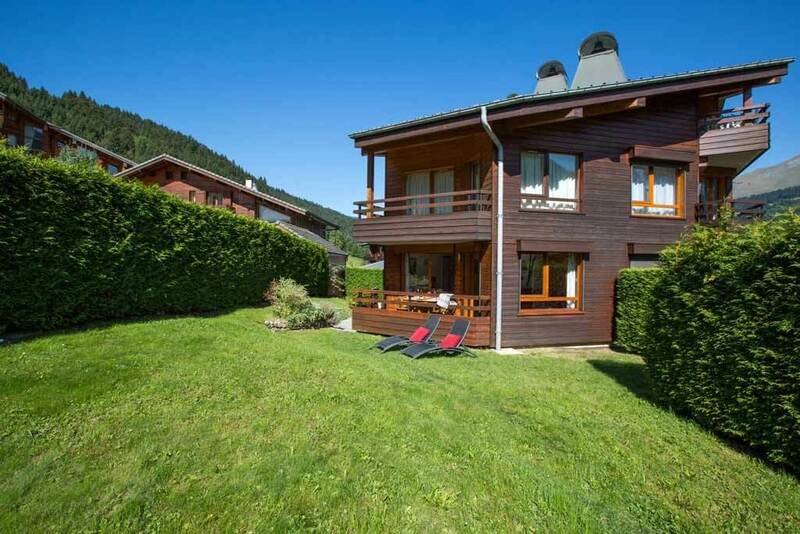 The location is one of the most sought-after in resort; a peaceful residential area with magnificent views and plenty of summer outdoor garden space (rare in Morzine) yet just 50 metres from the bike trails, a 5 minute walk from the nearest lift and our local bike shop, and an easy 10 minute walk to the town centre.